In today’s environment it is fashionable to say we want leaders. Although I agree that we need leaders, especially to propel the economic engine of America, I see disconnects between what we are asking for and what we really want. Corporations say they want self-starters, creative thinkers—leaders—but do they really? I say no! The presiding wisdom in most corporations I have observed is that employees must pay their dues before their creative ideas will be embraced or encouraged. In the process of paying their dues, creative potential is sucked out of people. I experienced that in the days after my elevator conversation with the CEO. I became a tool not a thinker. The success I achieved after that came by explaining and selling the ideas of the top bosses. The corporation missed out on my creative ideas and the best ideas of many other leaders like me. Within a matter of a few years, the corporation was in financial trouble and reacted with a massive layoff. This pattern of squelching creative ideas is, in my opinion, pervasive. It typically begins in the employee selection process. The personnel department looks for candidates who “fit the culture” – which is often code for “will not make waves.” We enthusiastically praise the values of creativity, innovation, and courage, but we hire and reward employees who agree with us. The most talented employees nowadays don’t stick around when their ideas and opinions aren’t valued. They go to your competitor, or create their own business. So, what do we do about this? How do you create the environment that counters the forces of bureaucracy that I described above? I will share one idea, something that gave me a lot of meaning personally. First of all, hire great people. Take ownership of the process. You can have the best training program in the industry but if you hire a loser, you’ll just end up with the best-trained loser. And the best way I’ve found to identify quality people is based on what they’ve done in the past—even if that is just in college. For example, ask, “Why is the University of Alabama a better place because you graduated from there? “Tell me about the leadership positions you sought out and the contributions you made?” Look past the interview skills (quick talker, tell you what you want to hear) and get to actual performance. Show me what a man has done, and I’ll show you what he’ll do. Additionally, stories about overcoming adversity tell us more about the character and leadership potential of a candidate than any psychological instrument ever will. As Warren Bennis and Rob Thomas have written, “The skills required to conquer adversity and emerge stronger and more committed than ever are the same ones that make for extraordinary leaders.” With this in mind, ask potential hires to describe their toughest life experiences, how they got through them, and what they’ve learned in the process. And for those candidates who don’t have a story to tell, well, it’s a mark against them in my book. When you find someone with great potential, invest time in his or her development. I call these employees “developmental” or “high-potentials.” Spend time with them. Listen to them. They will need focus, but listen to them and encourage them to share their ideas, what they really think. The most disappointing thing to me is when you are hired and you have really creative ideas and the antibodies of the organization come after you. As a boss, you are in a position to block those antibodies and to nurture the creativity and initiative within your best employees. This investment is not a nice-to-have; it’s a must have. If you don’t develop your key employees, your greatest talent will leave. One of my main objectives was to promote great people. There was nothing more appealing to me than to advance others in the company and to contribute to their development. With this in mind, create a roadmap with each developmental employee, a step-by-step developmental program that you get your boss to review and approve. Look for opportunities for them to get a wide-variety of experiences that give them practice and exposure. For example, have them make a new product introduction presentation. Give them a project to lead. Have them represent you at an important overseas meeting. Get feedback comments from upper managers and add those comments to their file. Be their greatest advocate, even as you simultaneously push and challenge them. We need leaders, but when you go inside most organizations you find cultures that undermine innovative, creative, risk-taking behavior. Our words are not aligned with our actions. Instead of throwing our arms up in despair, we need to lead by example in our spheres of influence. Take ownership of the hiring process and, once you identify talented employees, take responsibility for developing them. Create for them the kind of situation that you wish you had when you were starting out. Tweet a Book: Why should anyone work here? I started 2016 off by reading (and tweeting) Goffee and Jones’ new book, Why should anyone work here? What it takes to create an authentic organization. The idea of “tweeting a book” is to read a book cover to cover and tweet quotes as you go. The process causes me to read with greater focus, and I invariably get more out of the book as a result. You should try it! This blog post captures all the tweets in chronological order and serves as a summary of the book. In their earlier book, Why should anyone be led by you?, Goffee and Jones call for us to be authentic and to be ourselves, more, with skill. This new book clarifies that organizations significantly influence our ability to be authentic (the “agency” vs. “structure” tension). It’s not enough for you to want to be authentic; your work culture either reinforces or undermines your ability to be your authentic self. It is a great book. I’ll turn now to the tweets, which are generally chronological beginning with the introduction and running through the six “DREAM” imperatives to the conclusion of the book. Here are my rough notes on Chpt 1 in Goffee & Jones’ new book #workhere? #difference So, where does this leave us? #honesty is proactive; speedy; surprises people with its candor; encourages dissent; engages with employees & wider stakeholders. Examples: Have meetings specifically designed to air bad news; have “hopes & fears” discussions. Openness is a key ldrshp skill. Goffee & Jones’ 3rd imperative for great organizations is “Extra Value” — invest in people & magnify their #strengths. “Join us & we will develop you.” We will help magnify your strengths! This is a powerful commitment for org’s to make. A question for leaders to consider: “How do you magnify your team members’ #strengths?” Well, first you have to know what they are. Right? What does it mean for an org to be #authentic? “Human beings r empowered by seeing the connection between biography & history…” Do u make that connection in ur organization? “Does ur org have identity-defining roots? U don’t have to be old to have roots.” How do u tell the story of ur org’s origins? “The fact is that people want to work for an organization that stands for something.” #workhere #authentic Stand for something real. How do #leaders ensure the daily work is intrinsically satisfying & meaningful? the 3 C’s: #connection, #community, #cause. “THE most significant source of meaning for talented people comes from a shared cause or sense of purpose.” What is yours? On to Goffee & Jones’ 6th & final imperative for the ideal org. Have #SIMPLE, widely-agreed on rules. The tendency is toward rule creep & before u know it rule proliferation & complexity, which often leads to reduced profitability. “Good rules connect to purpose.” What are the rules in your org? Is it clear how they connect to ur org’s #purpose? Just finished Goffee & Jones’ book, “Why Should Anyone Work Here?” #whyworkhere? I’ll close with a few standout quotes from the Conclusion. NOTE: This last tweet nicely captures Goffee and Jones’ six imperatives for the ideal (DREAM) organization: (1) Be Themselves (Difference); (2) Know the truth (Radical Honesty); (3) Grow (Extra Value); (4, 5) Believe in the purpose (Authenticity & Meaning); (6) Given the freedom to pursue it (Simple rules). Goffee and Jones emphasize several times that it is rare to find organizations achieving excellence in all six imperatives. They include a short questionnaire in each chapter that leaders can use to help assess where they stand with each of the imperatives, and they recommend focusing effort on addressing the weakest areas first. Several of the imperatives are synergistic and reinforce each other; however, some can actually be at odds. For example, a company with strong identity and cohesion – which are linked to authenticity and meaning – can work against valuing difference. These tensions are good for leaders to be aware of. Finally, a big idea that is worth repeating is that individual agency to “be authentic” is influenced by the structure of the workplace – the organizational culture. We need cultures that call out authenticity and that allow us to be our best selves. Book Citation: Goffee, Rob and Gareth Jones (2015). Why should anyone work here? What it takes to create an authentic organization. Boston, MA: Harvard Business Review Press. You typically know the right thing to do. At most decision points, what’s needed is discipline or the courage to act. But every once in a while you arrive at a decision point when all your choices have the potential to backfire. When every option has serious repercussions. What do you do? Add time pressure, an overbearing boss, or a zero-defects company culture to the mix. Now it feels like swimming in a 10 foot-deep pool of half-dried cement. These are the moments that cry out for leadership—your leadership. Dilemma: a situation in which a difficult choice has to be made between two or more alternatives, especially equally undesirable ones. How do you swim through a pool of half-dry cement? How do you make a decision when faced with a dilemma? 1. What is the issue, really? First, clarify the issue. In the messy reality of a difficult decision, less pertinent issues may mask the main issue. If there are multiple issues, separate them; lay them out so that you can see what is going on and clarify what the crux of the matter is. I am a visual learner, so it helps me to visually depict the situation on paper. You may prefer to make lists in a spreadsheet or to visualize it in your mind’s eye. Clarifying the issue also helps to identify who on your team to get involved. 2. Activate the team! You may have to go it alone, either because of the nature of the dilemma or because of time sensitivity. If you have time and it is appropriate to get others involved, do it. Call your team in and get their take on things (see #’s 3-5 below). Getting them involved will give you new perspectives, will cause them to be more vested in the decision, and will develop their own leader judgment—setting the conditions for them to be more effective leaders. You can also talk it through with a mentor or other trusted person. Hearing yourself explain the dilemma to an outside, dispassionate leader often reframes the situation; and bringing in a mentor can help make sure you aren’t missing something important. And if there is no time or you feel the nature of the dilemma requires total discretion, then talk it through with yourself! 3. Find out as much as you can. Two maxims to remember: “First reports are always wrong” (or, at best, incomplete), and “there are always two sides to every story.” So, suspend judgment and learn as much as you can. Physically go to the “scene” and talk to the key players right away. If the problem is related to a specific person, talk directly with him or her and hear it from the “horse’s mouth” rather than through someone else. Trust: Your default should be in support of your employees until you gather all the information. You have the opportunity to engender trust by believing in your people, even when everything initially seems to point against them. If you believe the initial negative report only to find out later that your employee was in the right, you will never recover the lost trust. 4. What are your choices? What can you do? You’ve clarified the issue and gotten as much input as possible. Now it’s time to lay out all your possible choices and test them. Play them out in your mind and think through the potential consequences of each choice. Can you live with the worst-case scenario? What are the pros and cons and how do they fit in with your personal beliefs, regulations, the norms of the organization, and the norms and values of the larger profession? And, my favorite question to ask yourself: What do I want to accomplish or create long-term? Clarity on this question will affect the way you act in the here and now. Think about the impact your decision will have, both on individual employees and the organization in general. Your actions, especially when the pressure is on you, will speak loudly. You are making history and the story will be told and retold by your employees. Make sure that the history you make is aligned with the vision you have for the organization. 5. Decide, execute and evaluate. Given the information that you have available, make the best decision you can and move forward with confidence. Execute! When appropriate (which is most of the time) explain to your team how you came to your decision. Do not assume that they know what is going on in your head. Once you take action, continue to assess the situation and take in additional information. If the facts and circumstances change, don’t stay locked into a decision that is no longer valid. Be big enough to change your decision if the circumstances warrant. And if things go horribly wrong, which you know can happen in a true dilemma, be humble. Activate your team, find out as much as you can, trust your people, and press forward. Equipped with a framework like this, you may discover that the morass of cement feels more like water, and moving forward becomes easier. As you respond to the cry for leadership in these moments, you will hone your judgment and gain the wisdom that comes from experience. Follow Tony P. Burgess on Twitter to stay connected. Do something…and reflect. Growing as a leader is a continuous “action and reflection” cycle, with development happening iteratively over time. What kinds of experiences develop you most as a leader? And because you can learn the most in difficult and uncomfortable experiences, then you want to do things that shove you outside of your comfort zone. I like the phrase “threshold experiences” to describe the moments when you are dancing at the edge of your capabilities. When you lean into it like that, the likelihood for significant growth as a leader increases ten fold. Seeing your development through this lens may encourage you to step onto the floor and to take on challenging leadership experiences: Have the difficult conversation with your boss, hold your subordinate accountable, raise your hand to take on the tough assignment or to be immersed in a different culture. And for those of us who prefer to stay inside our comfort zones, there’s good news: we can’t. Life throws threshold experiences at us whether we want them or not. Without looking for them, we all face a difficult boss, an impossible task, a role we have not been trained for, or a personal crucible like a health challenge. The little girl knows intuitively that saying out loud what she thinks she thinks allows her to interact with it and to hear it as if for the first time. Karl Weick found Wallas’ interaction to be a recipe for sensemaking (Sensemaking in Organizations, 1995). For me, the girl’s response clarifies how latent learning – key, game-changing insights – crystallize when we take time to reflect. So how can I “see what I say”? Conversation with others about our work is one way to help us reflect. And written reflective journaling is another technique proven to help us process and learn from our experiences. The results are astounding. According to Gino and Pisano, for example, spending 15 minutes at the end of the workday in written reflection and conversation about our work can improve what we learn by 25% (HBR, “Reflecting on Work Improves Job Performance”). Think about that—a 25% increase in effectiveness with this one practice. Don’t stop with yourself. Teach this framework to your team and then help them leverage the action/reflection cycle. Ask your team members what their last challenging experience was and dialogue about it. Ask them what their next challenging experience will be. By their nature, threshold experiences can increase stress and tension for individuals and teams. Leaders—and anyone on the team—can help balance that with an appropriate level of support; they can create a culture in which people feel safe enough to take risks and to be honest with each other. This requires trust, vulnerability, and authenticity. And following Gino and Pisano’s example, why not carve 15 minutes out of the workday for written reflection and conversations about what we are doing and learning? So, what are you waiting for? Do something…and reflect! By yourself. And with others. I talked leadership with Brigadier General Howard T. Prince this week in Austin, Texas. He was so engaging that the two hours felt like 15 minutes. 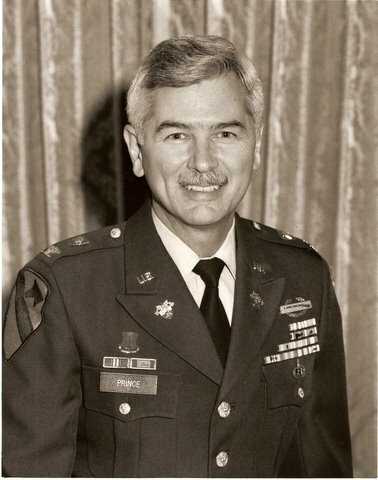 BG Prince is the founding head of West Point’s Department of Behavioral Sciences and Leadership (1978-1990). He had extensive combat leadership experience in Vietnam and has been thinking about and teaching leadership for a lifetime. I’ll share his response to one of the questions I asked him. Question: If you only had time to teach three concepts to mid-level leaders with no previous formal leadership training, what would they be? 1. Self-Awareness. It is crucial that leaders know themselves, and they need some basic frameworks and tools to speed up this process. We give a lot of personality and talent assessments these days, but for what? What do you do with your awareness? Well, for one, if we know who we are, how we naturally behave–our default–then we can look for good fits. Where can I contribute my best? What roles allow me to leverage my natural talent? Moreover, as I understand myself better, it opens my eyes to understanding others better and how to employ them in ways that brings out their best. The Gallup organization tells us that leadership boils down to discovering your employees’ strengths and then putting employees in roles that leverage their strengths. Of course life is more complex than that, but self-awareness is absolutely crucial. Moreover, self-awareness can lead to seeking developmental opportunities to get better in areas that will be needed in future responsibilities. Self-knowledge simply gives you more choices. 2. Motivation. If we are talking foundational leadership for mid-level leaders, understanding human motivation is easily in my top three. Most of us do what “feels” right or what has been role-modeled for us. And, unfortunately, a lot of that is just plain wrong–and even undermines the behavior we want. Part of this includes understanding the difference between extrinsic and intrinsic motivation. So many of our “techniques” are based on flawed assumptions that employees require extrinsic motivation. But the fact is that human beings want choice and to be part of the decision-making process. When I was the Department Head of BS&L at West Point, I learned to ask instructors what they wanted to teach. Instead of telling them what they were going to teach, based on my flawed assumptions, I tapped into their intrinsic motivations and, in the process, fostered a deeper level of commitment in the faculty. Look for opportunities to involve your team in meaningful ways. They will do their best in return and often amaze you with things you never knew they could do. 3. This leads me to Building Teams. If you can get the job done alone, do it. In other words, don’t create a team because it is in vogue. But if you have a problem or a mission that requires more than one person, you need an effective team. And most work today is being done in teams. We need to provide our leaders with foundational understanding of group dynamics and how to set the condition for teams to form quickly and to perform effectively over time and amidst rapidly changing, complex conditions. Understanding how teams develop and knowing what kind of leader actions are useful at different levels of development helps the team get better as a team, which is, or can be, more than the sum of the individual inputs. People everywhere crave purpose and meaning in their lives. Since most of us spend so much time at work, it is important for leaders to help team members find purpose and meaning; not just so the organization gets better, but so the people involved develop as human beings. Colonel Howard Prince, the founding head of the West Point Department of Leadership. When I was a newly appointed Department Head at West Point, I had the privilege of attending a conference where the late Warren Bennis was speaking. He read us an excerpt from a Robert Frost poem titled, “Two Tramps in Mud Time.” Bennis was at the leading edge of introducing work as a meaningful human activity. As he was reading, I felt rusty gears begin to turn in my head. That night, I dug through books in my home library and found my college freshman English Literature book of poems. And there it was, that same poem, with the margin notes of a 17-year-old West Point Cadet Prince. The poem had moved me deeply so long ago and may have influenced my decision to make a career of military service in the US Army. Professional reading is a critical part of being a leader, especially when tightly integrated with action. When we weave together what we are reading with what we are doing, the rate at which we learn can increase dramatically. To make reading even more impactful, talk about what you are reading. It is talking about books–with a constant eye for how it applies to our current work situation–that takes reading to the next level. This is in contrast to how many of us have experienced professional reading–as an individual activity. As I engage with leaders, I like to recommend books that have made an impact on me. And because I know the power of talking about books, I recommend that teams pick a book to read together. Yes, like a book club! When I was in the Army, we created something called the “Pro-Reading Challenge”–which boiled down to: Read a book and talk about it with your team. So simple, and yet so impactful. It is the kind of simple leader development tool that any leader can put into practice. Not long ago we were discussing this book in a small falafel stand in Mosul [Iraq]. Tomorrow, it’s my turn! It was those 3 or 4 chapters that changed my outlook on studying history! And here Paul is, five years later, reading and talking about the same book with his own team of leaders. Creating time for talking about a book made the unit more effective in combat, it inspired a passion for studying history, and it role-modeled a leader development approach that Paul is now emulating. So, what are you waiting for? Pick a book and engage in conversation about it with your team. Focus on how it applies to your work. “To participate is to act as if your presence matters, as if, when you see something or hear something, your response is part of the event” (p. 21). How can we design learning (and leadership) experiences to foster this sense that “your presence matters”? How can we shape experiences so that many more of us can be a meaningful part of the “event”? When I write “quality” of the teacher and student, it is primarily in terms of how prepared they are and the attitude and energy that they bring on any given day. I think we need excellence in all four of these areas in order to create exceptional learning engagements. Of course, these four elements are mutually reinforcing (each element influences the other three). Not only that, but if one or two are especially good, they can help carry the day.